Ball So Hard University Shirts from Maryland's Team! 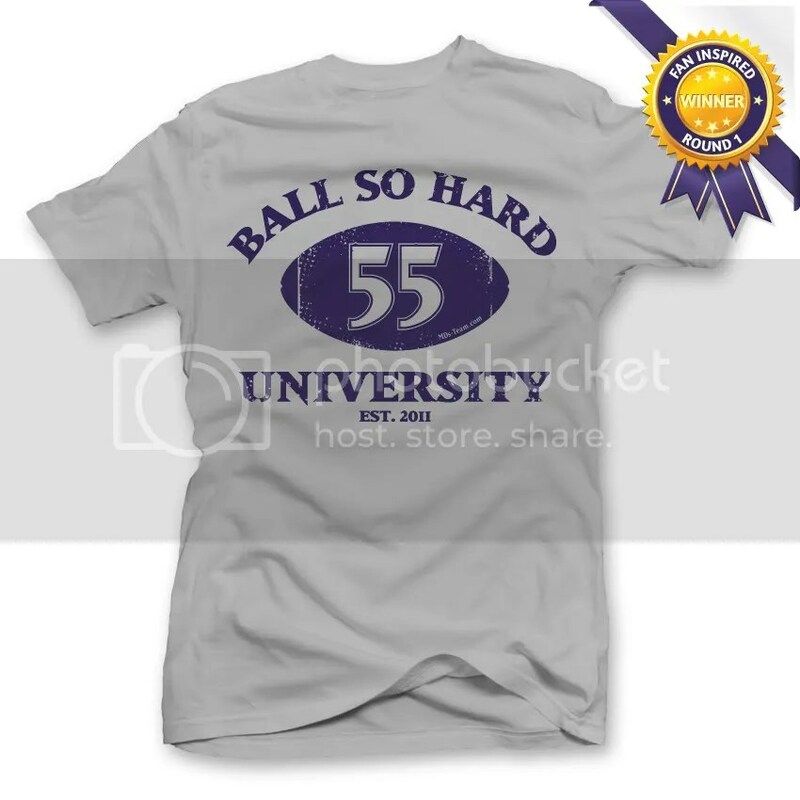 Our friends over at Maryland’s Team have come up with a great new design for Ravens fans to represent Terrell Suggs and Ball So Hard University! They are also offering a special discount for readers of B’More Birds’ Nest! When you check out, enter code BMBN10BSHU, and they will take 10% off a presale order of the BSHU tee! This offer is only good from Friday 11/11 at 12am until Sunday 11/13 at 11:59pm, so head on over and get your Ball So Hard U shirts now! This entry was posted on November 10, 2011 at 11:59 pm and is filed under Ravens. You can follow any responses to this entry through the RSS 2.0 feed. You can skip to the end and leave a response. Pinging is currently not allowed. Where do I go to order this exact shirt? They had to stop selling them due to copyright issues. Go to tsizzle55.com for the official ones.